Salman says Nine is Mine, while this this time Original Big Brother trend will be followed in Bigg Boss season 9. When Salman Khan returns to hosting Bigg Boss in mid-October for its ninth season, the popular reality show will be in for a drastic makeover. This year for the first time contestants entering the Bigg Boss house will play the game in pairs. "The only thing that is confirmed so far is that the housemates will play the game as couples to try and avoid elimination and finally win the show. None of the contestants have been confirmed, so we are not sure of names or the nature of the pairings yet," said a source in the production team of the show to an Indian daily. "It is yet to be finalized if the pairing of contestants will be a predefined affair or the two-member teams will be created on the spot once all members enter the house in the inaugural episode," our source added. The concept is actually similar to what the original American show Big Brother did in its season 9. On that show, though, contestants were randomly paired up after they entered the house. They had to survive as teams of two during the initial rounds before the finalists being allowed to play individually for the grand prize. It is too early to say if Bigg Boss season 9 will have one winner or two. The pairing concept will also reportedly bring in a concept called Power Couple from Big Brother 9. In the original American show, the concept gave the strongest couple power to eliminate any couple they wanted to. The concept seems just apt for raking up some random dirty politics, on which the show has forever thrived. 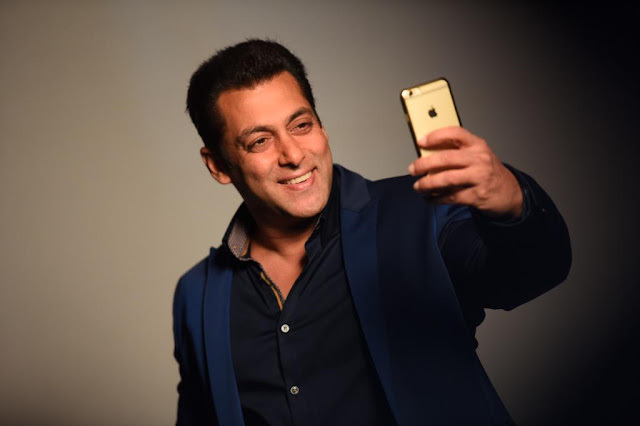 Recently, Salman set off social media in a frenzy by posting the message: "Nine is Mine." The message trended on Twitter and it was soon obvious that Salman was confirming his return to the show as the host of its ninth season. It is reported that the seasons in which Salman Khan hosted, rated more as compared to other seasons. No doubt fan following of Salman brings more to Bigg Boss.